Structured Cabling Systems - Why you should install Cat6 cable? Here we are in 2018 and we still hear of contractors installing Cat5e cable. Comments like it’s cheaper than Cat6 cable, it’s just as good as cat6 cable, doesn’t wash in today’s world. If it all about having to compete on price, because your competitors are using Cat5e cable, then maybe it time to change your business model. Is it not our job to offer the consumer the best choice of cabling for their data and AV needs? In 2001, Cat5e cabling was introduced to supersede Cat5 cable. Basically a stop gap measure as cat6 cable was introduced in 2002. Cat6a cable was then introduced in 2008. We can now see that Cat5e cable is getting left well behind. The sooner it is stopped being manufactured the better! The reasons why Cat6 should be the cable of choice are numerous. Cat6 cable is 23AWG, Cat5e is 24AWG. Power over Ethernet (PoE) is now a common platform. We see it with wireless access points and camera systems. Just to add a bit of trivia, I see the new range of Samsung QLED TV’s are going to be PoE powered. This will mean one Cat6 cable to this smart TV for its data and power needs. No power outlet will be required. AV cables from other devices will still be required, if needed of course. Anyway, back to the subject. The heavier gauge Cat6 cable has to carry up to 48VDC for PoE devices. Voltage drop is still an issue in the data world as well. The Cat6 cable has a pair separator, the Cat5e cable does not. This pair separator helps with the transmission speeds by balancing the cable pair structure further. This reduces the possibility of noise interference from other power sources. The separator also helps dissipate the small amount of heat that PoE produces. The pair separator gives the cable pairs more protection which makes the cable more robust. The list goes on. If you want to start installing Cat6a cables go for it. It still used 23AWG conductors but has a much larger pair separator. It is probably over kill at this stage to install this in new houses. But as houses and buildings are expected to last for decades, maybe the cabling we install today should last the test of time as well? Now back to AV cabling. We need to use Cat6 cable for the likes of our HDMI extenders, optical extenders, and HDBaseT solutions. Why? Because these signals work further on Cat6 cables than on Cat5e cables! At the time of pre-wire do you measure out those long runs of cable or do you just think it is just a piece of cable and everything you connect to it will work? Please remember that you are smart wiring the home of your paying customer, who expects it to be cabled to the latest standards. 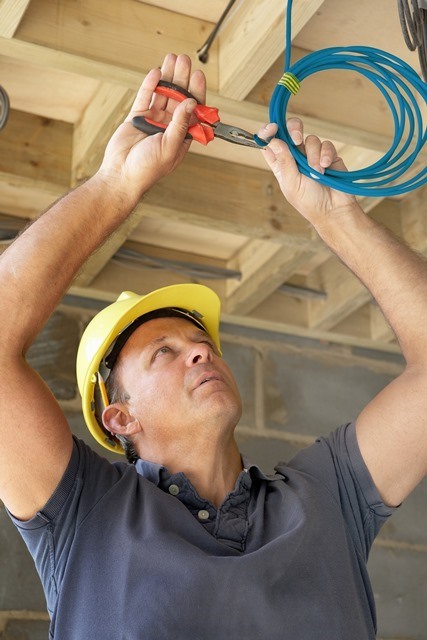 They will expect the latest technological devices they buy to work on the cabling you install. And why shouldn’t they? We need to get away from the mind-set that is driven by some well-advertised businesses. That is, we have to have the lowest prices. It is called the race to the bottom where no one wins. Most consumers want good quality items at a realistic price. This applies to the cabling in their home. It’s not like the Technology Stores sell low cost items!